Mo' butter.....mo' better! 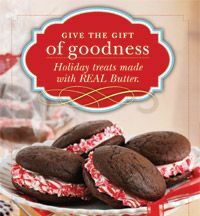 Go HERE to request your free recipe book: "Holiday Treats Made With Real Butter"! Thanks, MojoSavings!